NOTE: Parallels Tools must be installed in your virtual machine. 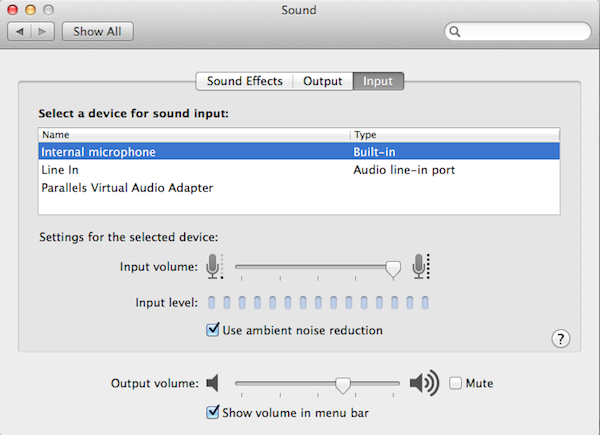 Make sure audio is working properly on your Mac side. The easiest way to check whether audio is working on your Mac is to try to play any audio or video file or online audio/video on your Mac. 2.2. 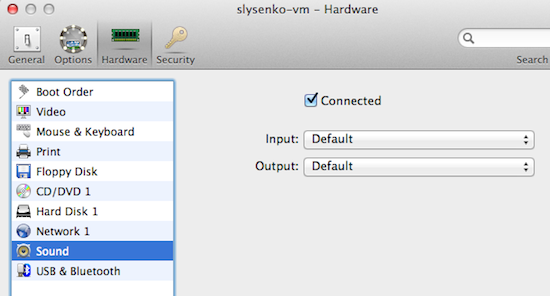 Open your virtual machine's Configuration > Hardware > Sound. Make sure Connected option is checked. 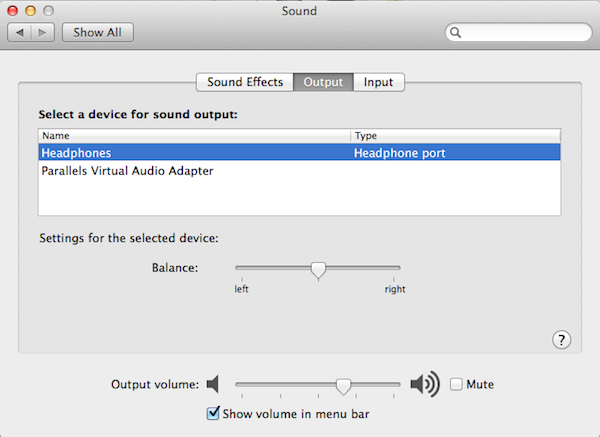 Make sure either Default or the specific device corresponding to the real device on your Mac Sound preferences (2.1.) is selected for both Input and Output device. In Parallels Desktop menu select Devices -> External devices and look for the device in the drop-down list. If you see your device is there and it has a check-mark, it means the device is currently connected to your virtual machine. Click the device to disconnect it from the virtual machine. Make sure audio is properly configured in Windows virtual machine. 3.2. 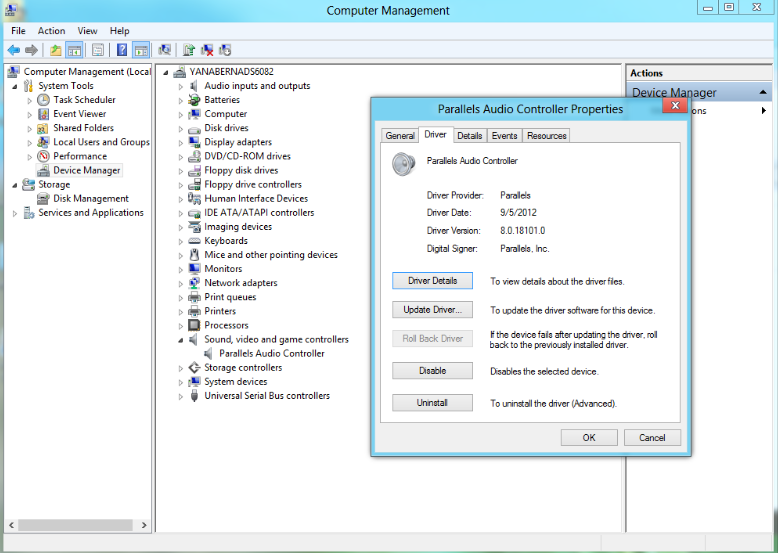 Make sure the Parallels Audio Controller is installed. Open the Device manager (In Windows Explorer right-click Computer, select 'Manage' and click 'Device manager'). Under 'sound, video and game controllers' look for Parallels Audio controller. If you are not able to find Parallels Audio controller or it has exclamation mark next to it you may want to reinstall Parallels Tools. 3.3. 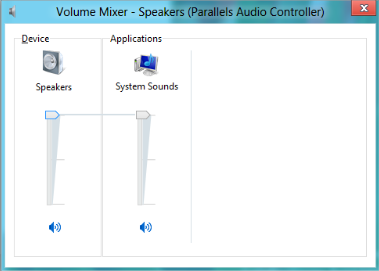 Open Volume Mixer (Windows Start > Control Panel > Hardware and Sound > Adjust system volume under the Sound option) and make sure the output sound is not muted.